Usually in summer time, my style tends to be a lot more bohemian, 1970’s inspired. But every now and then I want a change. On this particular day, I was in the mood for something dark with a bit of a gothic touch. 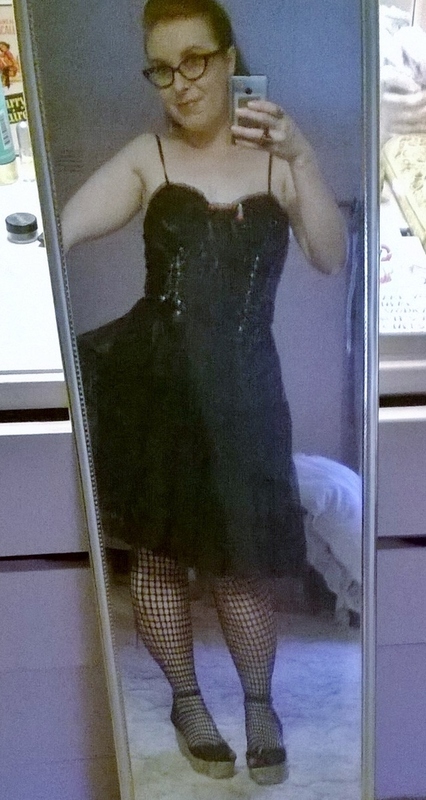 So I pulled out some fishnets and black lace and started building a summer-friendly gothic outfit. My new brooch was truly the piece that inspired me to dress on the darker side on this day. I picked this Shining brooch up from Cherry Loco Jewellery on Etsy. 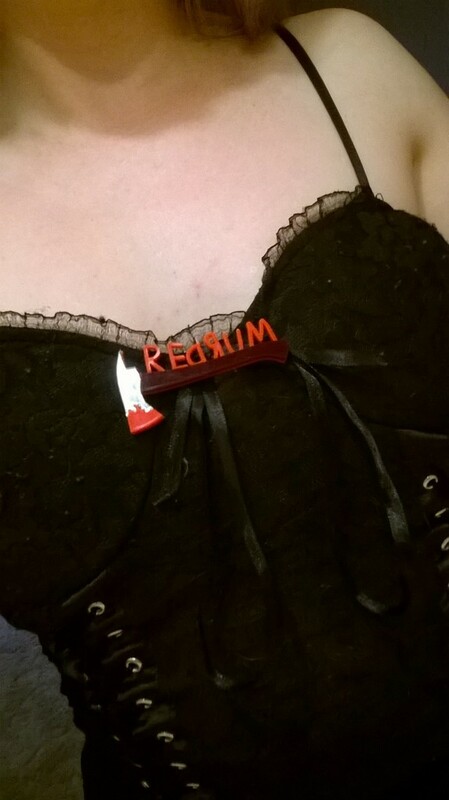 They have an incredible array of acrylic jewellery and I treated myself to this REDRUM brooch just before Christmas. 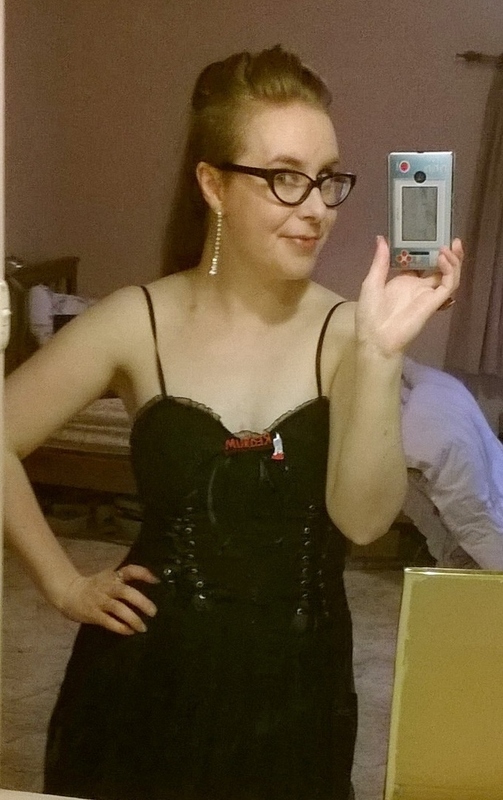 I like that in the mirror, the brooch reads MURDER just like in The Shining. 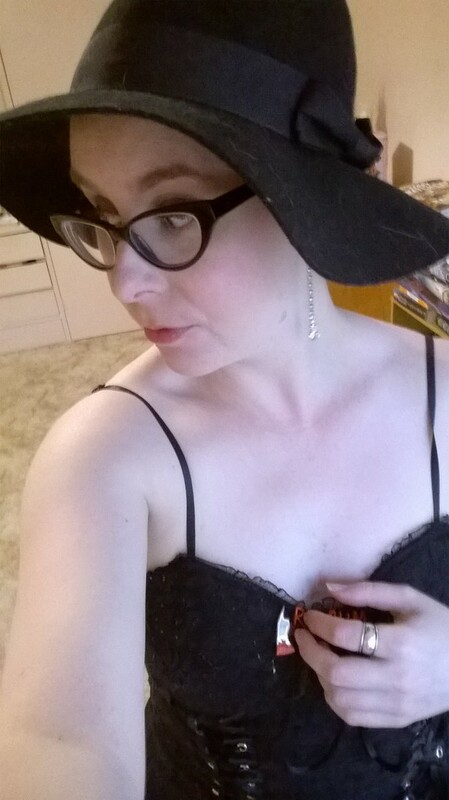 Later in the day I popped on a wide-brimmed hat to keep the sun off and headed to the shops. This hat is my favourite in summer because it takes any outfit to the next level and has a bit of an American Horror Story feel to it. I think that Stevie Nicks would be proud of this witchy outfit.